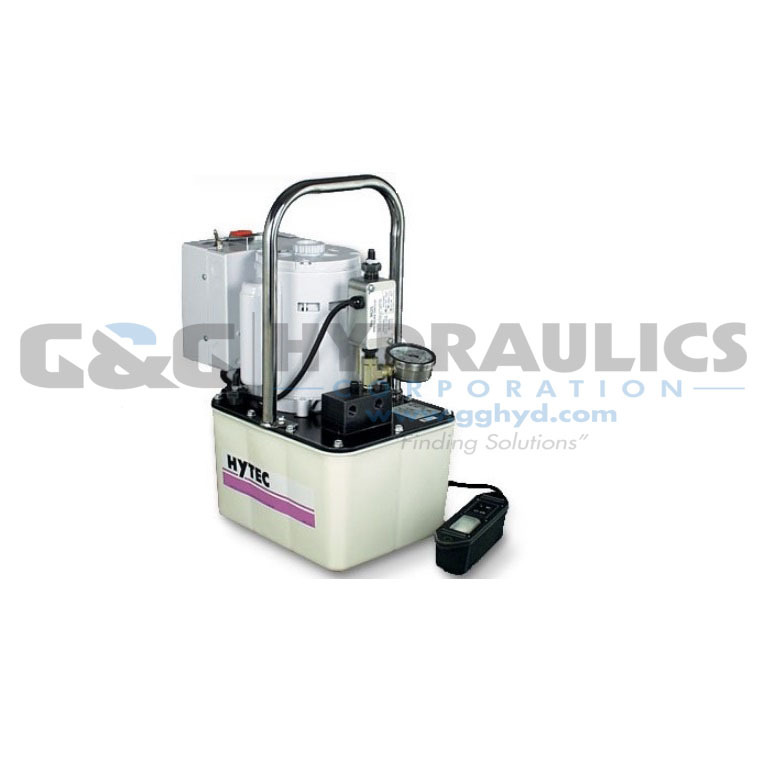 Part #100179 Hytec Manual Pallet Coupling Pump Drip proof induction motor, Motor-mounted electrical enclosure, 2-gallon plastic reservoir, Liquid-filled gauge Filtered, pressure/vacuum relief fill cap, External pressure switch and regulator. 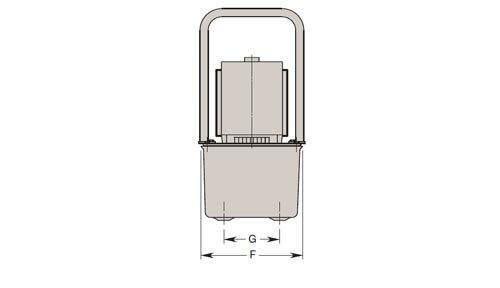 This pump has been designed specifically for use with manual pallet valve (100223). To clamp the pallet, simply start the pump using the remote hand switch. It runs until its pressure setting is reached, then stops automatically and drops pressure. The hose may now be disconnected. Controlled by a pressure switch and external pressure regulator, this pump is adjustable from 1,000 to 5,000 psi. An internal relief valve is preset at 5,000 psi. It has thermal overload protection and integral “electrical shut-down” to prevent unintentional restarting after electrical service interruption or thermal overload. Max. flow 33 cu. in./min. at maximum pressure. Mounting screws included (1/4-10 x 0.875 Lg.). 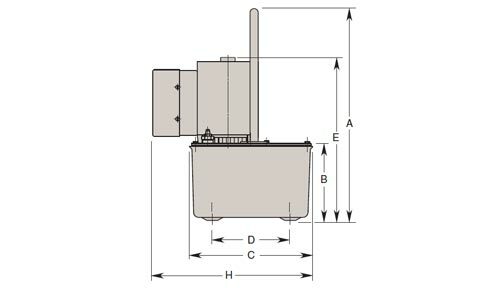 An optional metal reservoir and fluid level/temperature gauge are available. Hose requiring 1/4" NPTF male connections not included - order separately, view Hydraulic Fluid, Hoses and Tubing.